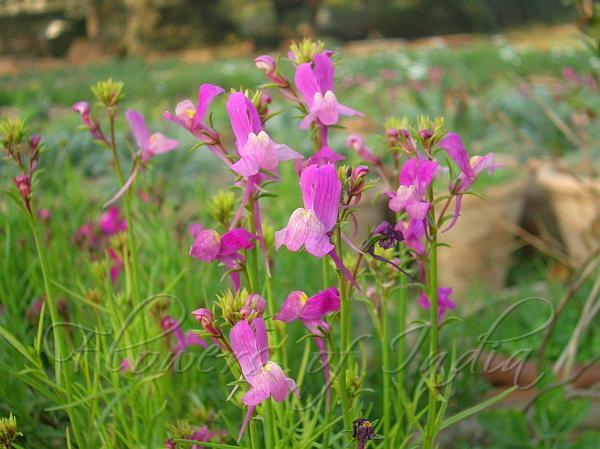 Toadflax is a highly original bedding plant, low-growing and has attractive grey-green foliage. This is flanked, through the summer months, by a myriad of flowers in a wealth of bright and striking shades. Resembling snapdragon (and sometimes called baby snapdragon), toadflax is easy to grow. It comes in red, gold, rose, pink, mauve, blue and purple and grows 9 to 18 inches tall. This annual (grows just one year) does best in cooler weather and can be used for winter color in the warmest parts of the country. It has small lance shaped fleshy blue green leaves. 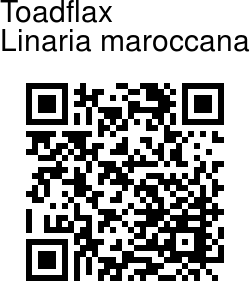 This flower is native to Morocco.